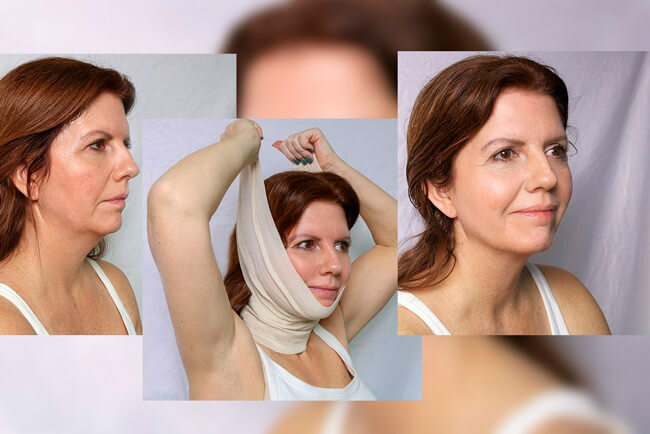 Depending on the initial condition of your skin, The Face Wrap’s results will vary. One thing for sure, you can expect improvement and with realistic expectations, you will be very, very happy with the results. Note: These photos have NOT been re-touched. THEY ARE THE ACTUAL PHOTOS. Get great results. Avoid the pain, recovery time and expense associated with Botox, fillers or invasive cosmetic procedures.